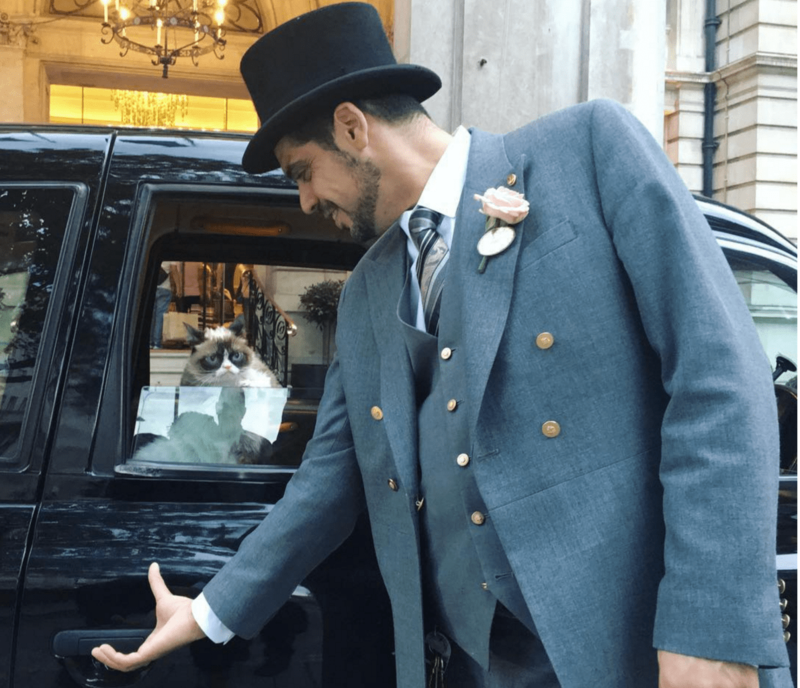 Grumpy Cat’s celebrity status is official now that she has her own waxwork model at Madame Tussauds in London, which she toured in style. 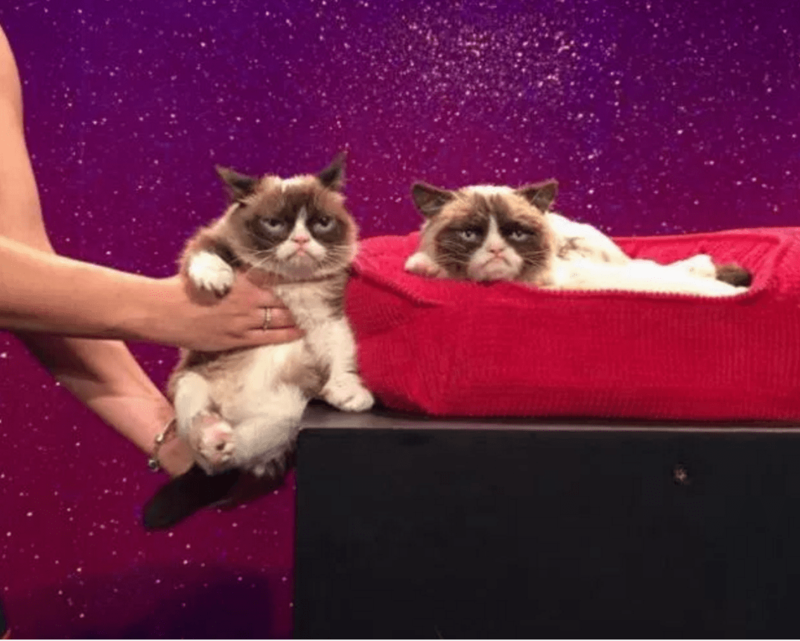 Grumpy Cat’s celebrity status is official now that she has her own waxwork model at Madame Tussauds. 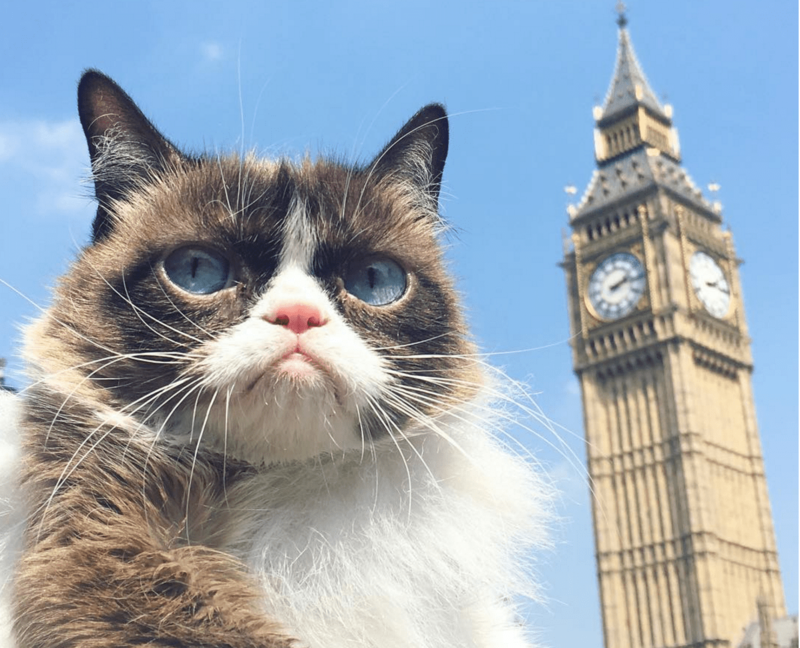 The American moggie took selfies at London’s landmarks during a recent visit, but stifled her enthusiasm. Her trip included stops at iconic sites and many photo ops along the way, in which she appeared to be characteristically blase. Here she is at Buckingham Palace. 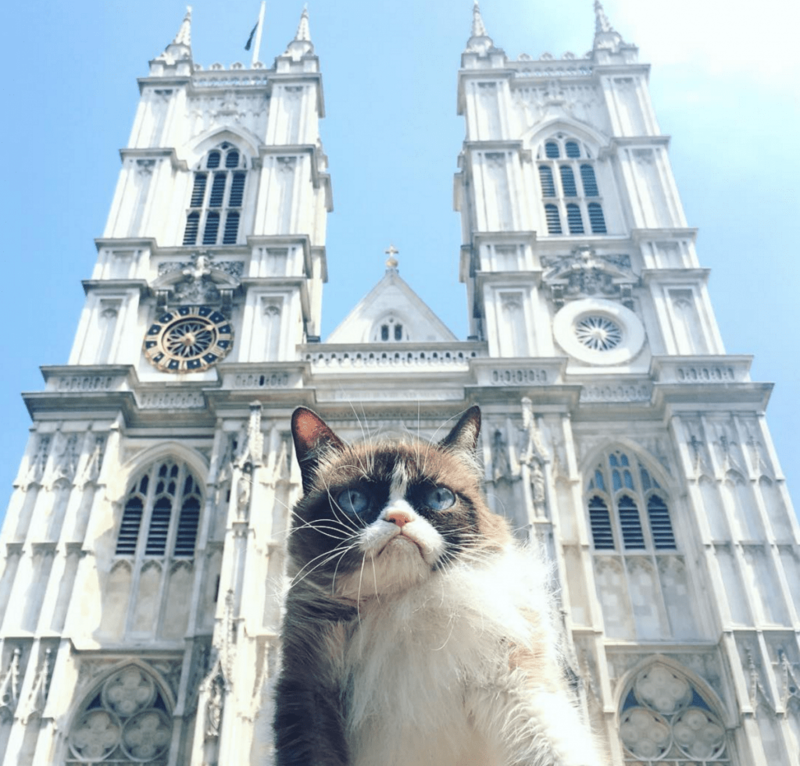 The Grumpiest Cat in the World went, saw but wasn’t that impressed, according to the UK’s Metro News. “Big Ben? No that big,” was the droll report from Metro News. Nor was she moved by magnificent Westminster Abbey. 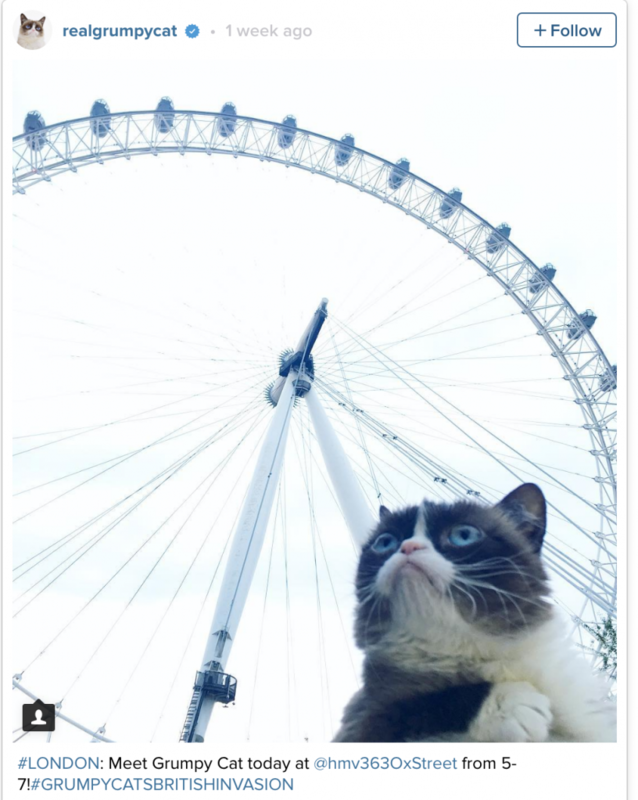 And she didn’t even blink when she saw the London Eye. 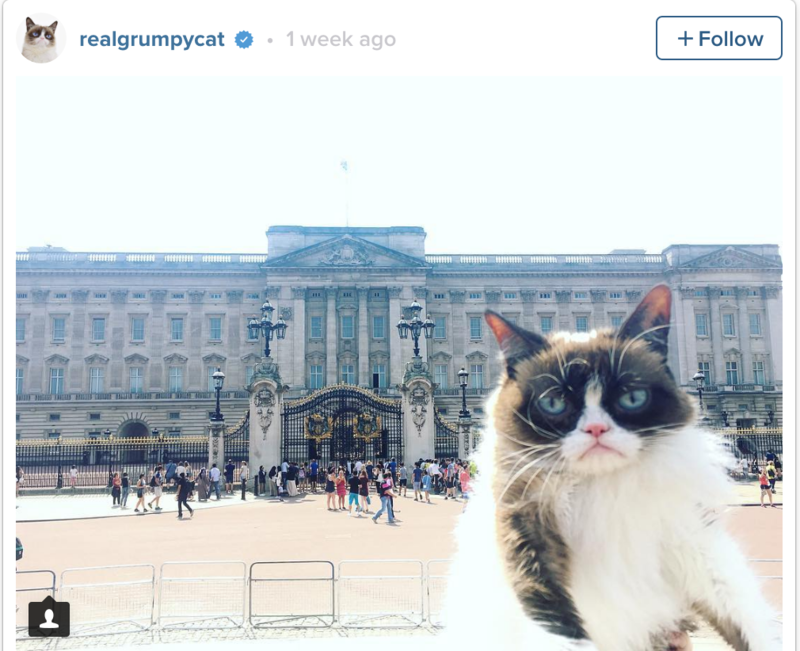 And in each of her photos, it’s Ms. Grumpy herself who is most prominently featured. She was a bit less Grumpy while being waited upon. Her waxwork self was adequate, but not nearly Grumpy enough to hold a candle to the original.